Has your computer been behaving abnormally recently? If you feel that your PC has become buggy and has too many errors, you may have too many corrupt or missing Windows system files. Luckily, it’s often possible to fix these errors with the help of a command line utility called Windows Resource Protection. 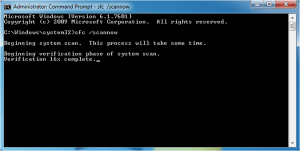 This utility will scan your PC for corrupted and missing system files and will try to fix the errors in your system files. Hopefully, this will fix corrupt Windows system files and make your computer more stable. If it doesn’t, try running our recommended Windows repair tool to scan for system errors and repair them in one click.